Stay-and-play packages: Ranging from $117 to $277 (per person, double occupancy, weekdays). 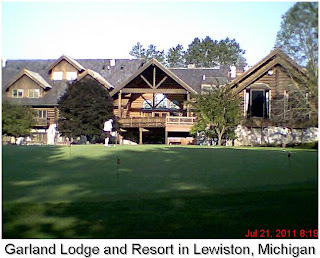 The "Pure Michigan'' media golf trip ended on a decidedly upbeat note with a two-night stay at Garland Lodge and Resort. 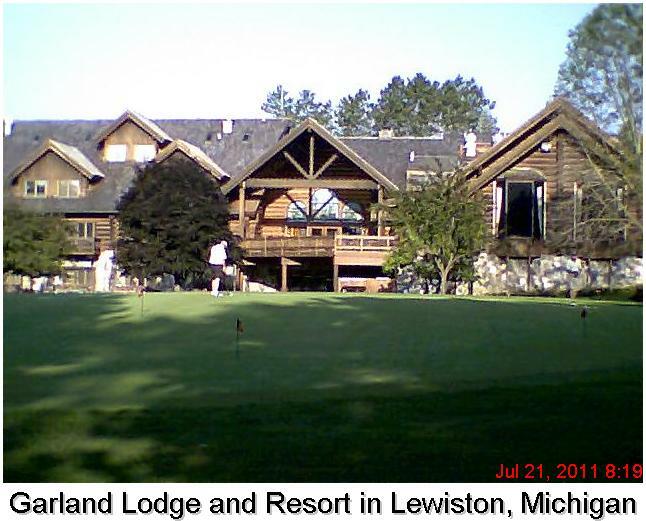 With four championship-caliber courses, a range of lodging choices, natural beauty and welcoming atmosphere, it's no wonder that Garland has a large, loyal following among golfers and vacationers in Michigan and nearby states. Upon entering the grounds, your eyes settle on the main lodge, billed as the largest wood-log structure east of the Mississippi River. If you are staying in the main lodge or South Wing, as our group did, you are within east walking distance of the dining areas, pro shop, staging area for golf carts, practice range and putting green. The grounds lend themselves to exploration, carrying guests on paths to the outdoor pool and hot tub as well as gardens and fountains. DSG went 36 holes at Garland on a toasty-warm day last week, playing the Swampfire and Fountains courses. Both were challenging and pleasing to the eyes. The greens were slick and contoured. At various points of the day, I had the pleasure of sharing a cart with Director of Guest Services Susan Miesch and Director of Sales Johna Hewes. Both ladies are terrific golfers and effective spokeswomen for Garland, which has a year-round slate of activities. It's about a six-hour drive from Northeast Ohio to Garland. There will be more details about Garland's golf and other attractions in a feature story that will run in the Travel section of The News-Herald on Sunday, Aug. 14.